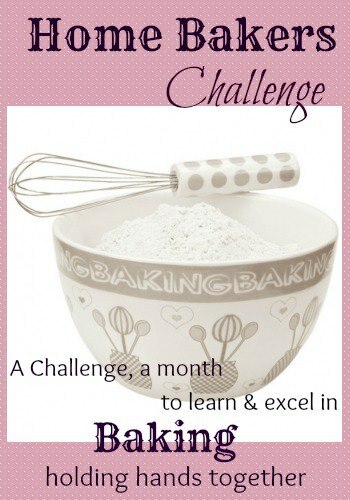 Home Baker's Challenge is a group of enthusiastic bakers who come under a common platform to explore,learn, share and bake recipes every month. This is an event started by Priya Suresh Akka of Priya's Versatile recipes. We are a group of friends who love baking have joined hands together. Our motive is to learn and excel in baking, helping each other. One fine day, we were discussing about Baking and its techniques and suddenly we got an idea what if we start a group and bake together, so that we can learn things together. Thus this group, Home Bakers Challenge was born. This is how it works, every month one person of the team will suggest a recipe and all the members have to bake the recipe and reveal it on the said date. By doing this we get to learn new techniques and explore the side of baking which otherwise we would not have ventured so. With the support and suggestions from the group members this is possible. Do you find this interesting? Do you love baking? Do you want to learn new techniques? If your answer is yes, then come and join hands with us. We have created a group in Face book, do join us there, for more information on the group. Thanks Sis, happy to bake with u..